OAKDALE, Calif. — As California copes with fewer and more intense rain events, Stanislaus County is taking action to adapt, by deploying a water infiltration enhancement technology, from The Water Group LLC, the West Coast representative of Detroit-based Parjana Distribution. The county will use Parjana’s Energy-Passive Groundwater Recharge Product (EGRP) to capture groundwater sustainably, accelerating groundwater recharge and reducing standing water on city roads to improve public safety. Based on successful deployments at airports, college campuses, parks, golf courses, and other sites in the United States and Europe, the county chose Parjana to address standing water and increase the rate of groundwater recharge at two locations in Oakdale. Parjana, the support of The Water Group, completed California’s first EGRP deployments this month. “We’re enthusiastic to be a leader in California to deploy innovative technology to substantially increase infiltration for groundwater recharge in areas throughout the County that have had problematic standing water for days following storm events, and then sustainably utilize this additional groundwater during periods of drought,” said David Leamon, Stanislaus County’s deputy public works director. 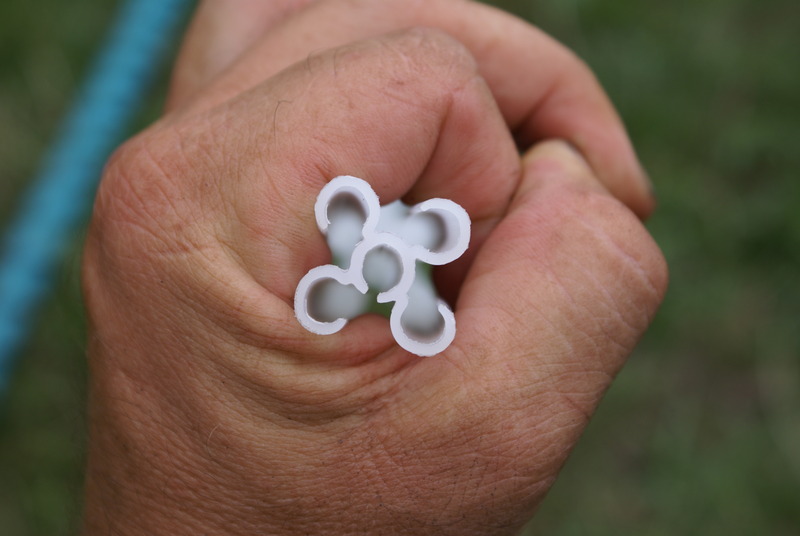 The two locations in Stanislaus County will use nearly 8,000 linear feet of EGRP. Within the ground, the EGRP system creates preferred pathways for the water to flow and proceed through the natural recharge process, filtering and absorbing pollutants and contaminants, before replenishing groundwater aquifers. Stanislaus County is in central California, east of San Jose. Its population is just over 500,000 and Modesto is the county seat. By accelerating infiltration into and through the near-surface soils, EGRP technology increases the volume of stormwater that can be stored, infiltrated, and ultimately recharged. Excess surface water that would have pooled or run off is captured and filtered below grade — offering improved water quality, reduced flooding, and accelerated groundwater recharge. The Water Group is committed to deploying innovative technologies that mimic nature to help improve infiltration, groundwater recharge, and water quality throughout California. Established in 2012, Parjana Distribution delivers innovative solutions to improve water infiltration and mitigation through the use of the EGRP, which allows water to travel and infiltrate naturally. Through the past several years, Parjana has developed the product by expanding the business across multiple markets, including a partnership in the United Kingdom in 2013. More at www.parjanadistribution.com.